What is a Metal Lathe? 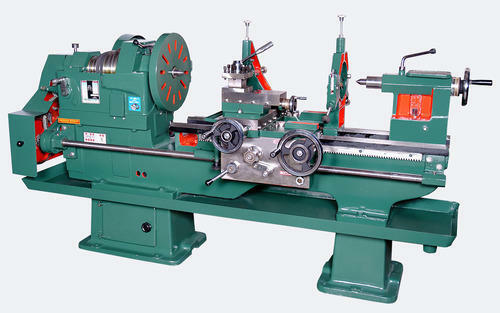 A metal lathe or metalwork lathe is a tool designed to accurately machine harder materials. Originally, they were designed to machine metals, but thanks to the fact that they’re versatile, they can be used for a wide variety of application and a wide variety of materials. It basically removes material from a workpiece that rotates with –usually- linear movements of a variety of cutting tools including drill bits and tool bits. Lathes have been developed to produce screw threads, tapered work, drilled holes, knurled surfaced, and crankshafts. Generally, lathes can be divided into three types: an engine lathe, a turret lathe, and a special purpose lathe. You can get a semi-portable smaller lathe and mount it on a bench or if you’re not going to move it at all, you can get one of the harder-to-transport larger lathes that are mounted on the floor. An engine lathe is ideal for field and maintenance shops that use a lathe which can perform many operations and isn’t too large to be transported from one site to another. Turret lathes and special purpose lathes can be used in production or job shops that specialize in mass production or specialized parts. You should always lubricate and check your lathe for adjustment before you operate them. If you don’t do the lubrication right or if you leave loose nuts and bolts, your tool will wear out quickly and the operation conditions would be dangerous. You should make sure that the lathe is clean of any dirt or grit and that the lead screws and gears don’t have metal chips lodged in the gearing system. You should also make sure that your lathe is leveled before operating it to avoid any vibration and wobbling that may lead to risky situations. When you’re working with a lathe, you should always be aware of the safety hazards that may happen and how you can avoid them or deal with them in case they do occur. You should always remove any rings or watches that you’re wearing and make sure your sleeves are rolled above your elbows. Before you make any adjustments, make sure to stop your lathe. When you’re changing the spindle speeds, make sure the lathe has come to a complete stop first. Deal with sharp cutters, centers, and drills with utmost care. Before you operate, make sure you remove chuck keys and wrenches. Make sure your eyes are well-guarded with eye protection. When you’re installing a chuck, safeguard the lathe ways with a block of wood and handle heavy chucks very carefully. Make sure you know where the emergency stop button is before you operate the lathe. Never use your hands to remove chips and swarf but instead user pliers or a brush. Never lay your tools on the lathe ways but instead use a separate table or a wide board. Always check the level of reserve oil supply before you use your lathe. When you’re sanding a workpiece, always use both your hands and don’t wrap the sandpaper around the workpiece. If you’re working in dusty conditions, make sure you change the lubricant frequently. If you’re working in a hot environment, make sure you avoid overheating the motor or damaging any seals. If you’re working in a cold environment, make sure you operate the lathe at lower speeds than usual. Some recommended products may use affiliate links. ThePrecisionTools.com is a participant in the Amazon Services LLC Associates Program, an affiliate advertising program designed to provide a means for us to earn fees by linking to Amazon.com and affiliated sites. Amazon and the Amazon logo are trademarks of Amazon.com, Inc or its affiliates. Copyright © 2018 The Precision Tools | All Rights Reserved.